The United Kingdom’s decision to pull out of a treaty establishing nuclear cooperation in Europe, as part of its overall withdrawal from the European Union known as Brexit, will have significant implications for UK nuclear activities. If London does not take steps in the next few years to fill the void, the UK’s nuclear trade and access to research projects could suffer. The UK is a party to the 1957 treaty that established the European Atomic Energy Community (Euratom) to coordinate civil nuclear energy research and create a market for developing nuclear power. Euratom also plays a role in implementing safeguards, which provide assurances that nuclear activities are for peaceful purposes. The UK joined Euratom in 1973, and membership now includes all EU states. Following Brexit, the UK will need to reach new bilateral cooperation agreements with the United States and other countries to continue civil nuclear trade. It will also need to revise its nuclear safeguards arrangements and determine how to engage with Euratom on projects, such as fusion research, in which the UK is heavily invested. It was not a foregone conclusion that Brexit would include withdrawal from Euratom. Although legal experts differ on whether the UK had to withdraw from Euratom, a governmental white paper in February noted that Euratom uses the same institutions as the EU and, under UK law, references to the EU include Euratom. In March, UK Prime Minister Theresa May’s EU withdrawal notification to the European Council included leaving Euratom. Previously, Jesse Norman, the then-UK minister for energy and industry, called withdrawal from Euratom a “regrettable necessity” in remarks Feb. 27 to the House of Lords Select Committee on Science and Technology. One critical area where Euratom plays a role is in implementing nuclear safeguards. Euratom safeguards predate the nuclear Nonproliferation Treaty (NPT) and its requirement for non-nuclear-weapon states to implement safeguards arrangements with the International Atomic Energy Agency (IAEA) to pursue peaceful nuclear activities. When the UK joined Euratom, its civil nuclear activities were subject to Euratom safeguards. The UK, as a recognized NPT nuclear-weapon state, does not have the same NPT obligations as non-nuclear-weapon states, but it reached a voluntary safeguards agreement with the IAEA and Euratom for its civil program in 1978 and an additional protocol to strengthen its IAEA safeguards in 2004. Implementation of Euratom safeguards is a component of the IAEA’s implementation of safeguards for Euratom member states. For instance, Euratom provides the IAEA with information on nuclear material accounting and transportation. The IAEA also conducts some safeguards inspections jointly with Euratom and verifies Euratom safeguards activities through observation. Withdrawal from Euratom will require changes in the UK approach to safeguards and in domestic provisions for providing IAEA information and access. Some experts contend that the UK will need to renegotiate its voluntary access safeguards agreement and additional protocol with the IAEA, given that the Euratom measures are part of the UK arrangements with the agency. Dame Sue Ion, chair of the UK Nuclear Innovation and Research Advisory Board, told the House of Lords Select Committee on Science and Technology on March 7 that the UK will need to “evolve other arrangements” between the UK regulator and the IAEA. She said that London will need new arrangements that “pretty much mirror” Euratom. In a June 6 interview, a UK official speaking on condition of anonymity said it is an “urgent priority” to put in place a “solid safeguards framework,” given that nuclear cooperation agreements take safeguards into account. Ensuring effective safeguards post-Euratom, he said, will be critical to ensuring continuity in cooperative research and trade activities. Although high UK stand­ards could still be relied on to prevent diversion, London wants to continue to lead and set an example for good safeguards practices, he said. In a June 21 speech on the government’s intentions for the next parliament, Queen Elizabeth II mentioned a new bill that would create domestic nuclear regulations and safeguards to fill the void left by withdrawal from Euratom. Tom Greatrex, chief executive of the UK Nuclear Industry Association (NIA), said on June 21 that the bill is a necessary step for the UK to take on safeguards responsibilities, but said it does not get close to “resolving the issues they have created” by leaving Euratom. Euratom also coordinates cooperative research in civil nuclear projects, and several scientists told ACT they are concerned about retaining access to research opportunities, facilities, and projects. The UK is heavily invested in cooperative work to develop nuclear fusion-reactor technologies. Existing nuclear reactors use fission, or the splitting of atoms, to produce energy, whereas a fusion reactor would join atoms together to produce energy. The UK participates through Euratom in the International Thermonuclear Experimental Reactor (ITER), a megaproject under construction in France to demonstrate the feasibility of fusion reactors. The UK’s Culham Centre for Fusion Energy currently houses the Joint European Torus (JET) project, which is funded by the EU to examine the potential for fusion power. The Business, Energy and Industrial Strategy Committee report said that exclusion from programs such as JET and ITER could “disadvantage national nuclear research” and called for “special consideration” for funding arrangements that would allow continued access to these projects. In addition to coordinating and facilitating research, Euratom also serves as the partner for U.S. civil nuclear cooperation with Europe, including the UK. In 1958 the United States and Euratom concluded the Euratom Cooperation Act, which serves as the agreement required by the 1954 U.S. Atomic Energy Act to conduct nuclear trade. Once the UK withdraws from Euratom, it will not be covered by that agreement. In a June 8 interview, a second UK official expressed confidence that the UK would be able to negotiate with the United States a bilateral nuclear cooperation pact, often referenced as a 123 agreement, but said there could be “costly disruptions” to nuclear commerce and research if there is no substitute agreement by March 2019, the effective date for Brexit. A bilateral text is already being drafted, although details need to be worked out before the U.S. review process can begin, he said. Other countries conducting nuclear trade with the UK via Euratom, such as Canada and Japan, also likely will be affected by London’s withdrawal. The impact is not limited to trade. It could have implications for decommissioning nuclear facilities and nuclear waste disposal. The UK currently relies on facilities outside of the country for some of these activities, which would require new arrangements. Lord John Hutton, NIA chairman, told the House of Lords Select Committee on Science and Technology on March 7 that the UK needs to avoid a “cliff edge” and recommended seeking associate partner status in Euratom. Taking this step, however, would not resolve all of the issues. Switzerland, for instance, is an associate partner, entitling the country to participation in some research projects, but it is not part of the Euratom safeguards agreement. Euratom and other groups seem to support a longer transitional arrangement. The Defense Department announced that a final environ­mental statement designating a preferred location for a new ballistic missile interceptor site has been delayed again and will be further studied as part the department’s broad review of U.S. missile defense policy. “We will not be able to provide additional information” on the additional site until the ballistic missile defense review concludes, said Leah Garton, a Missile Defense Agency spokesperson, in a May 19 email to Arms Control Today. At issue is whether China has deployed a new intercontinental ballistic missile ICBM near the Russian border. China reportedly has deployed a new intercontinental ballistic missile (ICBM), the DF-41, in northern China near the Russian border. The missile was successfully flight-tested for the seventh time in April 2016, but it is unclear if it has completed development, and experts reacted skeptically to news reports circulating in late January that it had been deployed. Observers’ photos on Chinese websites of missile launchers in Daqing City in northern China are evidence of the missile’s deployment, according to a Jan. 24 report by The Global Times, a state-run Chinese newspaper, which cited information from “some Hong Kong and Taiwan media.” The Global Times noted that “some media…think this is Beijing’s response” to U.S. President Donald Trump’s combative remarks about China. China has disputed the reports. “This is just the speculation of Internet users, the guesses that do not correspond to reality,” Chinese Foreign Ministry spokeswoman Hua Chunying told the Russian news agency TASS on Jan. 25. Reports of the DF-41 deployment are unsubstantiated, asserted Gregory Kulacki, China project manager at the Union of Concerned Scientists, in a Feb. 13 blog post. There is also no official report that the missile has completed development, although China is notoriously secretive about its nuclear arsenal. The modernized missile appears to be slightly larger than its predecessor, the DF-31A; but like the DF-31A, it is able to reach targets in the United States, Kulacki told Arms Control Today in a Feb. 13 email. The missile’s range is 12,000 to 15,000 kilometers, and it can carry up to 10 multiple independently targetable re-entry vehicle (MIRV) warheads, according to the Missile Defense Project at the Center for Strategic and International Studies in Washington. As a solid-fueled, road-mobile ICBM, the “mobility of the system is the most notable upgrade,” Catherine Dill, senior research associate at the Middlebury Institute of International Studies at Monterey, told Arms Control Today in an email on Feb. 17. She also stated that the missile is still under development and therefore not all features are known. China has diverse missile systems, including short-range, medium-range, and intercontinental missiles, as well as cruise missiles. 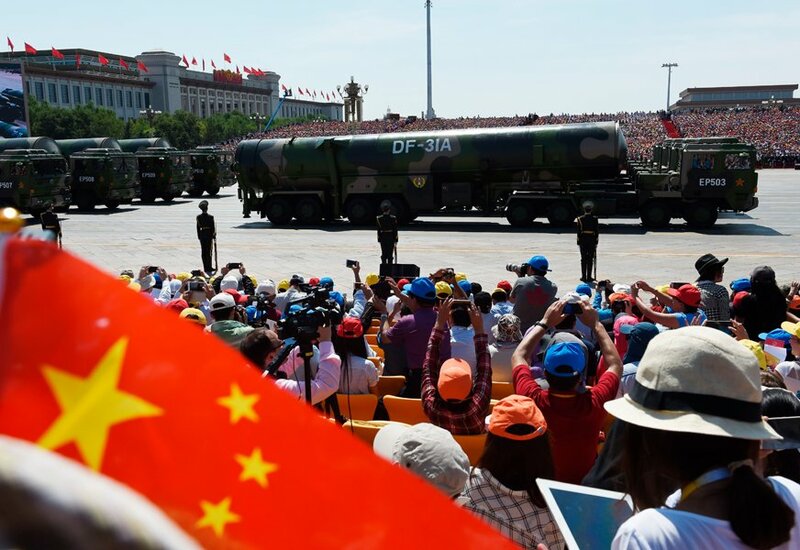 The development of the DF-41 would have “modest but important” implications for the Chinese nuclear deterrent, said Kulacki. A high-end cost estimate raises the prospect that the missiles will cost far more than anticipated. The high end of an independent Pentagon cost estimate to design and build a replacement for the Minuteman III intercontinental ballistic missile (ICBM) system put the project at roughly $100 billion after adjusting for inflation, an informed source told Arms Control Today. At the high end of the estimate, recapitalizing the Minuteman III could be more expensive than replacing the nation’s aging fleet of nuclear ballistic missile submarines and exacerbate the affordability challenge posed by current plans to modernize U.S. nuclear forces. The independent estimate was prepared by the Pentagon’s Office of Cost Assessment and Program Evaluation (CAPE) in support of the program’s so-called milestone A decision, a key early benchmark in the acquisition process. Frank Kendall, former undersecretary of defense for acquisition, technology, and logistics, approved the milestone A decision on Aug. 23, the Air Force announced in a Sept. 1 press release. CAPE provides the Defense Department with detailed analysis of the costs of major acquisition programs. The office’s estimate for the missile program, known as the Ground-Based Strategic Deterrent (GBSD), is measured in fiscal year 2016 constant dollars. When measured in then-year dollars, which includes inflationary increases expected over the period to acquire the new ICBM system, the low CAPE estimate translates to $85 billion while the high estimate could top $140 billion, according to the source. The Air Force in 2015 published a preliminary cost estimate of $62.3 billion in then-year dollars for the replacement program. (See ACT, July/August 2015.) That estimate covered a 30-year time horizon. The time period covered by the CAPE projection is unclear. Even at the level of the CAPE low estimate, the Pentagon will need to find more than $1 billion in additional funding to pay for the GBSD system than it anticipated in the fiscal year 2017 budget request, which was based on the Air Force projection. The dueling Air Force and CAPE estimates reflect both the different assumptions used to estimate the cost of the new ICBM program and the significant uncertainty about program costs. “This leads to considerable uncertainty and risk in any cost estimate,” he said. In an interview last fall with Defense News, Morin said the biggest driver of the difference between the low- and high-end CAPE estimates had to do with different assumptions about the price escalation of labor costs. The value of the escalator used by CAPE in each estimate is unclear. Morin expressed hope that the current plan to buy more than 600 new missiles would result in efficiencies that bring down the overall cost. The CAPE estimate illustrates the significant high-side cost risk of the new ICBM program and is likely to prompt continued questions about whether the Pentagon is pursuing the most cost-effective approach to sustaining the ICBM leg of the triad beyond 2030. Many ICBM proponents argue that they are the cheapest leg of the triad to maintain and modernize, but the $100 billion CAPE high estimate is roughly the same as the Navy’s constant-dollar cost estimate for the program to replace the current fleet of 14 Ohio-class ballistic missile submarines with submarines of the Columbia class. In then-year dollars, the CAPE high estimate of approximately $140 billion exceeds the projected cost of $128 billion for the Columbia-class submarine program. 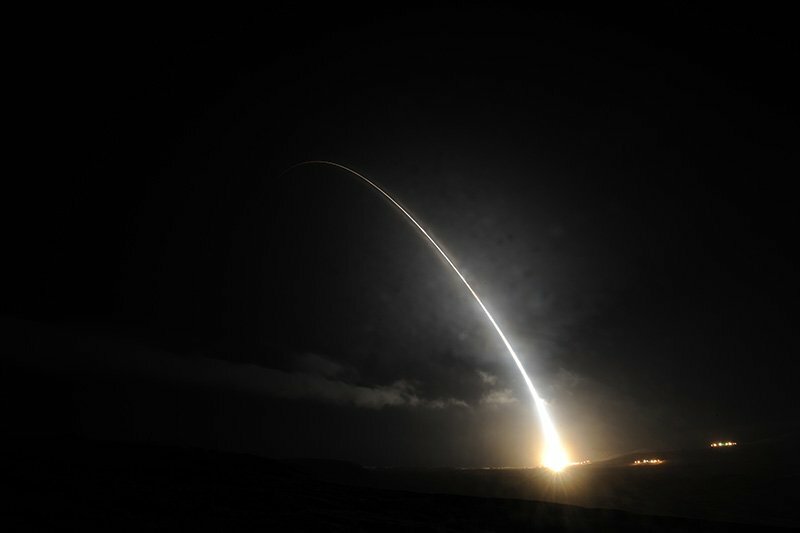 The Air Force argues that a new ICBM is necessary because the Minuteman III is aging into obsolescence and losing its capability to penetrate adversary missile defenses. (See ACT, April 2016.) The current recapitalization approach assumes that 400 deployed ICBMs, which is the same number the United States is planning to deploy under the 2010 New Strategic Arms Reduction Treaty, will be required for the entire 50-year service life of the new missile system. Sponsors look beyond Iran and North Korea to developments in Russia and China. The Defense Department announced it would miss its date to choose a location for a new ballistic missile interceptor site. The Defense Department announced in mid-December that it would miss its planned year-end date to complete a final environmental statement designating a preferred location for a new ballistic missile interceptor site. 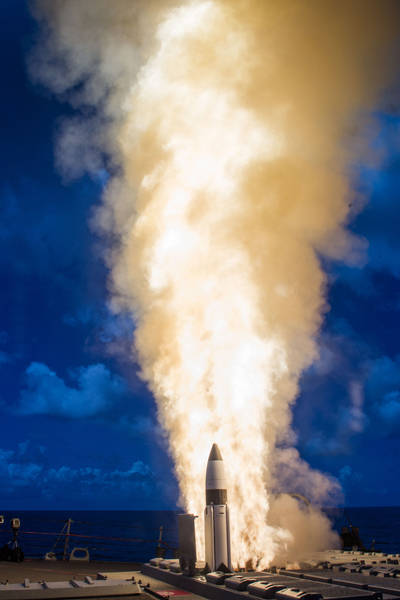 The current system to protect the U.S. homeland against a limited long-range missile attack, known as the Ground-Based Midcourse Defense (GMD) system, consists of interceptor sites in Alaska and California. Pentagon officials have repeatedly stated that there is no military requirement for a third site and that the estimated $3-4 billion price tag would be better spent to upgrade the existing GMD system. 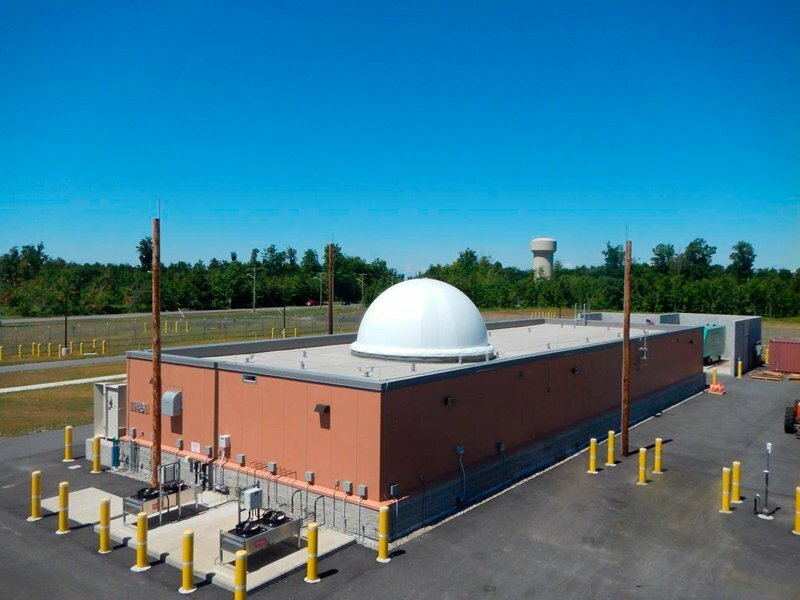 The Defense Department announced last spring that it had completed a draft environmental impact statement of three possible locations: Fort Drum in New York, Camp Ravenna Joint Training Center in Ohio, and Fort Custer Training Center in Michigan. (See ACT, July/August 2016.) For each site, the draft study assessed the impact of factors such as hazardous materials and hazardous waste management, health and safety, socioeconomics, water quality, and environmental justice. The fiscal year 2016 defense authorization bill ordered the Pentagon to designate a preferred location for a third site within a month of the completion of the draft environmental impact study. (See ACT, November 2015.) The department missed that deadline and does not plan to name a preferred location until it completes the final environmental impact statement. The delay comes as members of the Michigan, New York, and Ohio congressional delegations continue to make the case for their respective states to host the third site. Each delegation sent a letter last summer to MDA Director Vice Adm. James Syring urging consideration of their candidate’s location. A total of 55 senators and representatives from both political parties signed the letters. The Pentagon has raised the estimated cost for the new missiles slated to be produced in 2026. An updated U.S. Air Force estimate, approved by the Pentagon’s top acquisition official in July, puts the cost to design and build a fleet of new nuclear-capable cruise missiles at $10.8 billion, a source familiar with the program told Arms Control Today. The service prepared the estimate, which is in fiscal year 2016 constant dollars, in the spring in preparation for the program’s milestone A decision, a key early benchmark in the acquisition process for the weapon, according to the source. Frank Kendall, undersecretary of defense for acquisition, technology, and logistics, approved that decision on July 29, the Air Force said later that day. The service declined requests from Arms Control Today to provide information on new program cost estimates. An early draft estimate prepared by the Air Force in fiscal year 2015 projected the price to acquire the missile fleet at $8.3 billion. The service also announced on July 29 that it had begun soliciting proposals from the defense industry to design the new air-launched cruise missile (ALCM), known as the long-range standoff weapon, and a new fleet of intercontinental ballistic missiles (ICBMs). The Air Force intends to award contracts to one or two companies for the long-range standoff weapon program in the summer of 2017, according to the service press release announcing the solicitation. The contractors will spend the next four and a half years completing a preliminary design, which will be followed by the selection of a sole contractor to further develop and produce the missiles. The first new missile is slated to be produced in 2026. As the Pentagon proceeds with its plans to replace the AGM-86B, the semiautonomous National Nuclear Security Administration (NNSA) is pursuing a life extension program for its warhead. The NNSA estimates that the cost of the program will be between $7.4-9.9 billion in “then-year dollars,” which includes inflationary increases expected over the life of the program. The first refurnished warhead is scheduled for production in 2025. The Air Force also plans to award up to two contracts in the summer of 2017 to design the replacement for the Minuteman III ICBM system, known as the ground-based strategic deterrent. But Bloomberg News reported on Aug. 18 that Kendall has yet to approve the milestone A decision for the program due to a gap of billions of dollars between the cost estimate prepared by the Air Force and an independent estimate prepared by the Pentagon’s Office of Cost Assessment and Program Evaluation, which provides the Defense Department with detailed analysis of the costs of major acquisition programs. In an Aug. 10 press conference at the Pentagon, Air Force Secretary Deborah Lee James said the program “is not on hold” but that the department still needs to “get on the same page” regarding how to estimate the cost of the new missile system. On July 28, U.S. Naval Institute News reported that the first submarine in the Navy’s Ohio-class replacement program will be called the Columbia and that the program will now be called the Columbia-class program. The Navy plans to replace its fleet of 14 Ohio-class ballistic missile submarines with 12 new subs. In 2014 the service estimated that the 12 planned boats, which are slated to be purchased between 2021 and 2035, will cost approximately $140 billion (in then-year dollars) to develop and build. According to an informed source, the Navy in December 2010 projected the total life-cycle cost of the Columbia-class program to be $342 billion in then-year dollars through the 2080s. The source said the Navy prepared a second life-cycle estimate in 2014 that put the cost at $282 billion. The reduction in the life-cycle cost is attributable to such factors as a reduction in the average cost to buy the submarines, updated operations and maintenance costs, and revised inflation assumptions, according to the source. 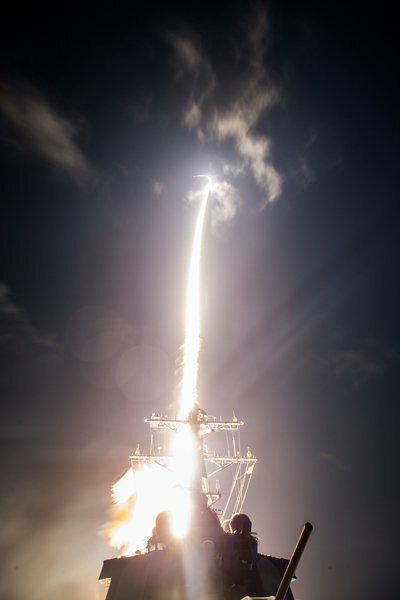 In a May 27 email to Arms Control Today, Lt. Kara Yingling, a Navy spokesperson, did not confirm the life-cycle estimates, but said the service is preparing updated cost estimates in preparation for the Columbia-class program’s milestone B acquisition decision, which is considered the formal start of a Pentagon acquisition program. That decision is scheduled to take place later this year, she said.